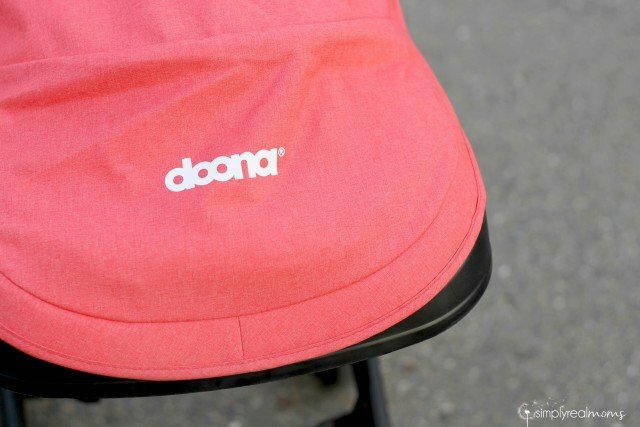 The Doona Infant Car Seat was introduced into the US market this year and is turning heads with it’s truly unique feature: a built in stroller. The first time I saw the Doona Car Seat my jaw dropped and I said out loud “This is a game changer in the car seat world” and I couldn’t wait to get my hands on one to see if it’s as amazing as it seems. Well, here I am to tell you all about my experience with the Doona! First off, it is JUST as cool as it seems. No joke, the design is pretty flawless and it has been a lifesaver to this mom of three. It’s safety features meet all US regulations and FAA Regulations as well, and it’s base is simple to install with either the LATCH system or your car’s seat belt. The seat latches into the base with the wheels folded into the seat, and when you remove the seat from the base, the wheels unfold with a simple lever on the back of the seat. I gave our Doona the ultimate test right out the gate: my 8 month old Charlie and I took it on a flight and major trip to Las Vegas with a lot of walking, driving and in and out of vehicles. I REALLY put it to the test! I was given a hard time by the Flight Attendants when I pushed the stroller onto the plane, but I assured them that it is approved for use on airplanes and showed them (to their amazement) that is folded right up and would fit in the seat. Now, it’s a rather large seat so the person in front of the car seat would not be able to recline at all but we had no issues with that on our flights. Huge positives with this seat come with travel in my opinion. I travel with my kids alone a lot and this seat seriously changed my travel for the better. Rather than struggling to fold or unfold a stroller, I was able to get the baby right onto the plane without any transfer at all. I usually stress trying to make it work or have to rely on the help of a wonderful stranger-not with the Doona! We were in Las Vegas for the 2015 ABC Expo which is a million square foot baby and kids product expo with all the latest and greatest in everything baby/kids/maternity. The folks from Doona were there and I had the chance to meet them and chat with them about my experiences with the car seat and see what they had up their sleeves for the next year! Want to know what they’ve got? NEW COLORS! The Doona Infant Car Seat is now available in seven gorgeous colors!! So exciting (but I just adore my “Love” red stroller!). The fabrics are amazing quality and have a sort of linen look to them! So Trendy! The Doona seat was for sure a show darling, and people stopped me constantly around the expo to ask what I thought of it as I pushed Charlie around. They would ask “Is it really as simple and amazing as it seems?” And I would show them! I must have demonstrated it a hundred times over the course of four days and it never got old seeing people in awe. I am seriously in love with the Doona Infant Car Seat. As a mom of three the convenience factor is high on my list of priorities and this car seat is all about the convenience! Not only that, it pushes smoothly and fluidly. It’s turns are simple and can be done one handed, and while the handle extends for use as a stroller I sometimes leave it in the lower position and my 6 year old pushes his brother! It’s that easy to push. There is no built in storage. 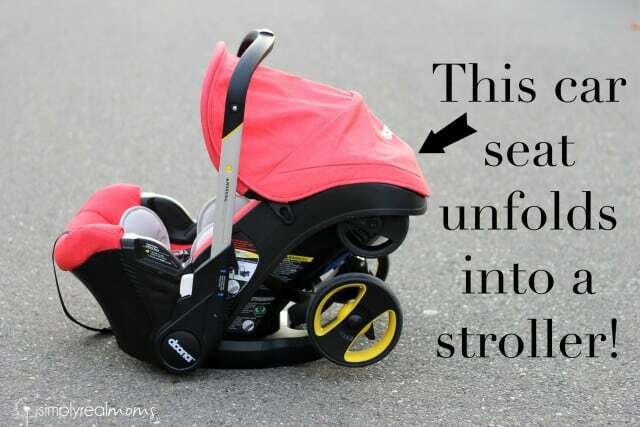 Because of the way this stroller needs to fold to attach to the base in your car, there’s no place for storage. They do have a removable basket or bags that can be used, but there’s none built in. The brake system was hard to use for a bit, but after a few weeks it was no problem at all to use. It’s lower than your average stroller seat. Again, design factors in here and the legs with the wheels can only be so long to fit into the car when folded. It never felt like a negative to me but I did have some people comment that they thought it was rather low. The handle extends and at 5’9″ I felt that it’s a great height! It’s pretty heavy and bulky. With all that equipment on board, it’s a heavy seat. I have only carried it once or twice though thanks to the built in stroller so it’s not been an issue-more something to know! I highly recommend this seat to any parent who is contemplating the purchase, but especially to moms with multiple children. 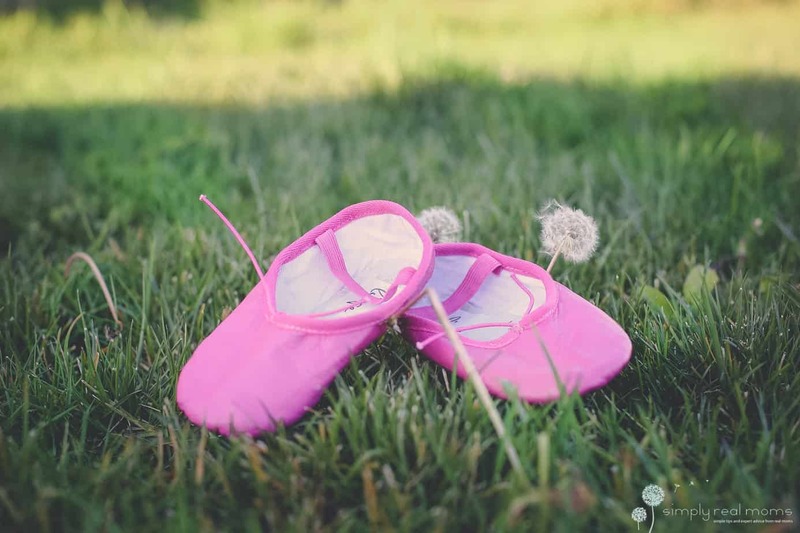 I can imagine the convenience is a plus as a mom of one, but it has been a game changer for me with two other kids in tow! And even better yet?! My trunk no longer houses the stroller-I have room for groceries too!! 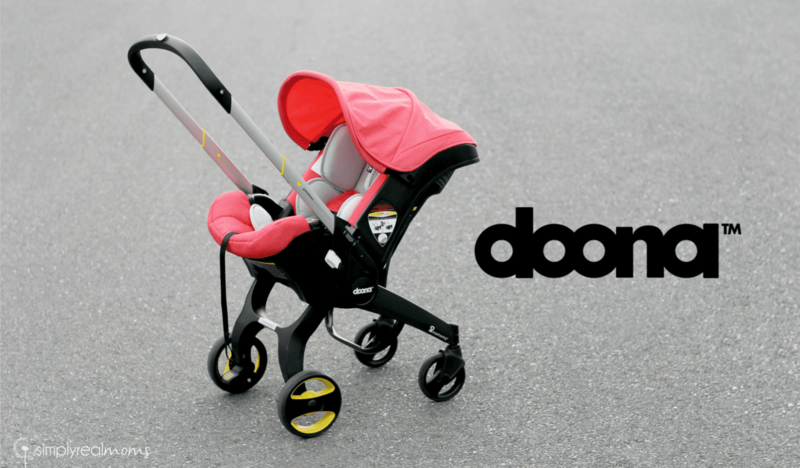 We love the Doona Infant Car Seat so much that we are going to be giving one away to one of our readers!! Just in time for Christmas, you can get the ultimate gift on every mom’s list! 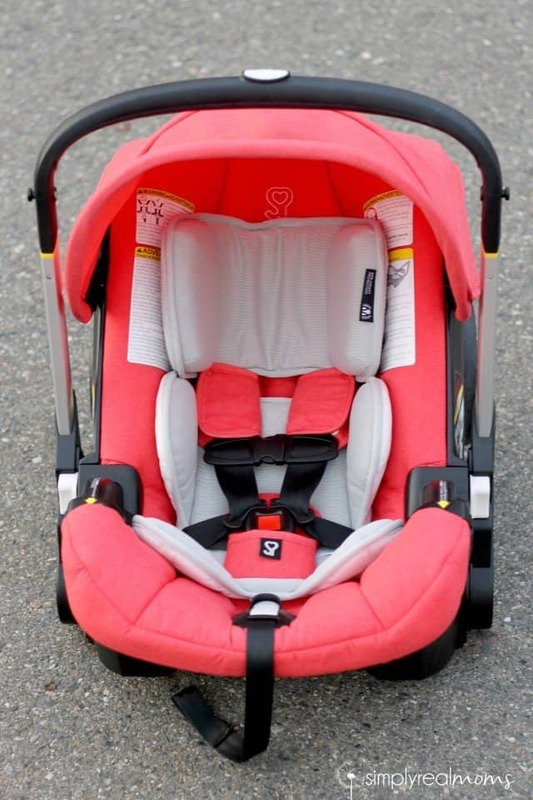 We are giving away one Doona Infant Car Seat in the Love (Red) Color, which includes the LATCH base, the removable storage, a seat protector and the infant inserts. Enter below, Giveaway ends December 15th, 2015! I absolutely love that it’s an all in one, no worries about making sure the stroller is in the correct car because it’s attached to the car seat. This looks perfect for travel, especially on planes. My favorite feature is that it can unfold into a stroller! I love that you don’t need a carseat base to install, and the removable storage bag is also genius! I love the convince of it being a stroller and car seat. No more stroller taking up room in the trunk. I love that it unfolds into a stroller. Just like you said room for groceries in the car. I love the fact it being a stroller and car seat. I am due with my third child would LOVE to win this. Love the convenience, all in one! Awesome! Love that it works with car latch system and no base us needed! I literally gasp every time I see this stroller. The fact that I can pop it out of the car (even more so when baby is sleeping) & with nothing more then a push of a finger transform it into a stroller is just amazing. With a 5 month old and a 3 year old in tow, loading and unloading the car is usually a comedy show in itself. I think I’d feel like superwomen with this stroller. 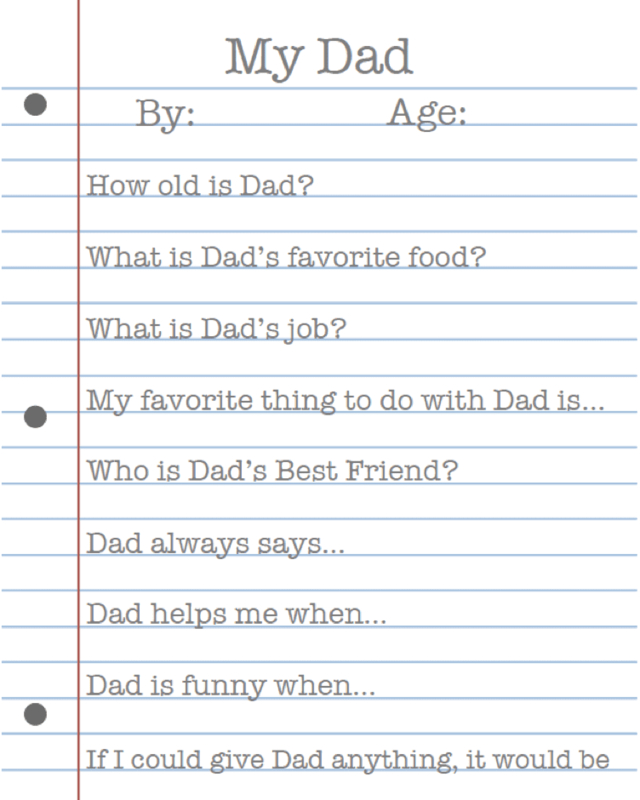 We have several family flights coming up, this would definitely take some stress off mom and dad! Love the carseat stroller combo, so convenient. The whole product is amazing! Love that it tunrs into a stroller. So cool! Thank you for the giveaway! I love that it unfolds into a stroller!!! That is the coolest thing ever! This is brilliant! Love that it unfolds into a stroller! I love that it unfolds into a stroller! My fave feature is definitely the attached wheels! This is a lovely giveaway! I am a soon to be first time mom and I’ve been looking for good reviews of strollers/car seats. I love how easily this seems to transition from going for walks to being put in the car. Great review! A friend of mine posted the youtube video about Doona last year. My first thought was, if I ever get pregnant and have a baby again, I will want this Doona! That time, Doona was not available in the US yet. And now I’m 27 weeks pregnant and knowing that Doona is now here, I got so excited! I want to win this so bad, so I won’t have to carry heavy carseat and stroller taking space in my small car trunk! Thank you!! I love that it is all in one!! We have so much stuff and this would help get rid of clutter since it is all in one!! I love that you can easily fold it and latch it to a car seat. Very convenient. I just love how easy this is to use, no need for a base, turns into a stroller, and would be great to travel with. Wow! We have 5 kids (youngest two are 20mths and 2mths) and this would be a HUGE help. I love that you can easily unfold & fold with the baby in it. No taking him in and out to load and unload into car. So nice! All the features seem great. As a mom of four, this carseat/stroller would be a game changer for our family. I love that it’s an all in one! So convenient to not have to worry about a stroller! I love that you do not need a base and it is a stroller and car seat in one!! I LOVE that it’s all in one. We have a compact car and this would save precious trunk space. I have never seen something like this, amazing that it is all in one! I have never seen something like this, amazing that it is all in one, would make it so much easier! 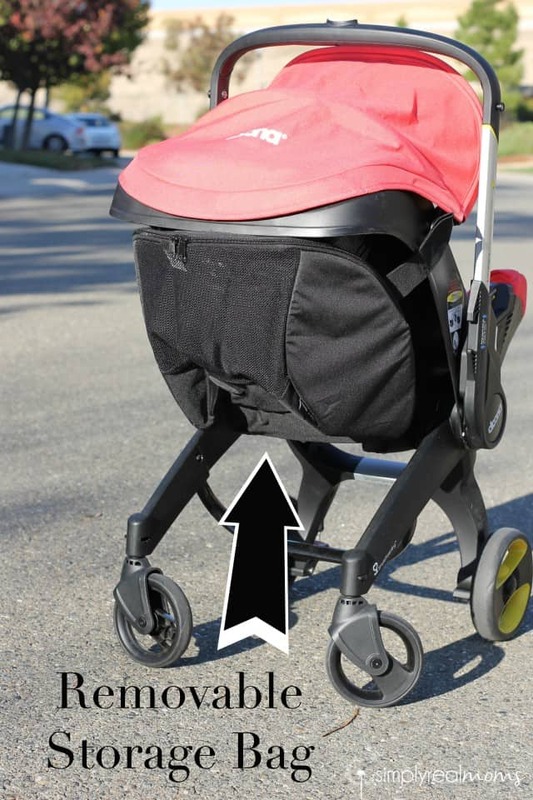 Uses a simple lever to unfold the very handy stroller wheels. I love that it unfold to a stroller!! I really like that you don’t need a separate stroller with this seat! 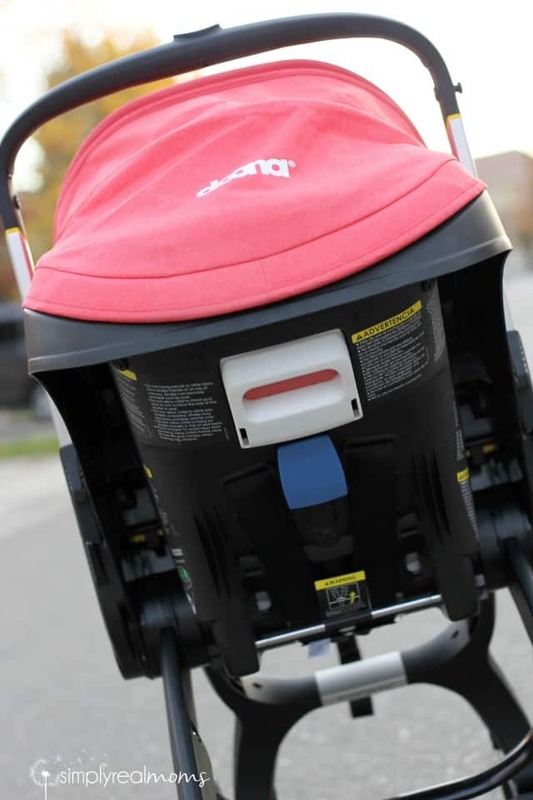 I love that this allows easy movement from the car to the stroller! I love the built in stroller. I like that the wheels fold into the seat. I love that it unfolds into a stroller! It would save a lot of money and space! I love the convenience of it. No having to get the stroller out of the trunk. So as many mention I love the feature that you get 2 necessary products in one. I really like the removable storage bag. It’s nice how small and compact it folds up. Amazing! I love that it is a two in one with both a stroller and car seat. That it converts to a stroller right out of the car of course! I love that you don’t have to take something out of the trunk and then take baby out! You save so much time and less worry! Love how convenient all in one it is! I love that it unfolds into a stroller!!! This seems almost too good to be true! Why isn’t this a standard feature for all strollers?? I like that it changes into a stroller. Just roll and go! Love that. No lugging around heavy seats. They really thought of everything! I love the tire covers!! I would really love to win this amazing carseat my favorite feature is that it unfolds and turns into a stroller is very stilysh fingers crossed my baby due date is in two weeks so it would be a blessing if I win. I don’t know how many times I have forgotten a stroller because I had transferred it to my husbands car and never transferred it back! I absolutely love the 2 in 1 feature. Also looks great for travel! I love that this frees up space in the trunk! No bulky stroller in the back of my van!! Oh wow! That is so amazing! I LOVE that its the stroller car seat all in one!! What a neat idea! Would be so perfect for the new baby on the way! I love the fact it folds out into a stroller. I love the color! My favorite feature is that it folds out into a stroller. I hate having to take up all the room in my trunk with a big bulky stroller! Favorite feature is that I wouldn’t have to pack a stroller separately. I have three kids, so I already have a double stroller to pack. This would save so much space. We travel a lot so I love that you can stroll right up to the airplane gate and it folds up so easily! I absolutely love the 2-in-1 feature! It’s just so handy! I’m a first time mom, and am really learning how items like this, truly are a convenience! I love that it’s all in one! So awesome! Traveling has been a big pain since I had my 2nd baby. Two children under 3 is just tough when traveling alone. I really love that the Doona can be used as both a carseat and stroller. Multi-use makes it a game changer, and I can’t imagine how awesome this would be when traveling. I hate having to check in a big stroller system at the airport. What a cool all-in-one concept!! I love that its just roll and go! Love the colors they come in! The easy fold is awesome! I love everything about this car seat and I can’t wait for my baby to arrive!!! I love that it can become a stroller. With a newborn and a two year old that would make life much easier! I love that it is an all in one but the fact that it can fold up into a carseat, that is my fave feature. It great how the carseat turns into a stroller! Looks compact and easy to carry. Uuumm…. 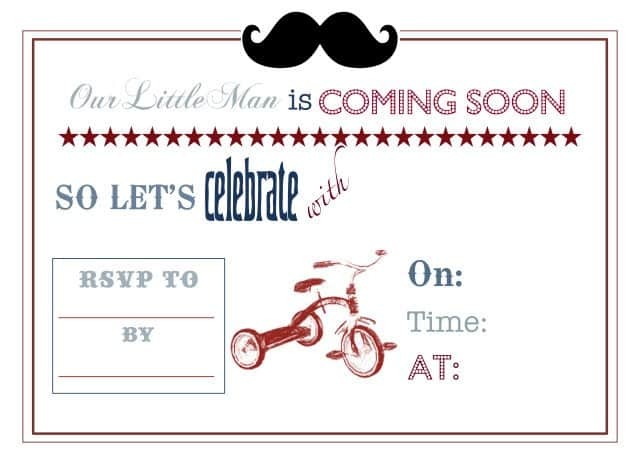 that it turns into a stroller!!!!!!!!!!!!!!!!!!!!! I absolutely love that it unfolds into a stroller. So nifty and convenient! Thanks! I love that the car seat folds into a stroller and its an all in one that is so compact! I love that it can transform so easily from a car seat to a stroller. I love that the carseat turns into a stroller!!! I absolutely love that this car seat turns into a stroller. Brilliant! I love the ease of use!!! It really is a “why didn’t I think of that?! ?” product! It’s a amazing that its a stroller and a carseat! I love that it folds into a stroller. Omg that it turns into a stroller! I would love to win this for my son that is coming soon in 2 months. Merry Christmas!! I would loveeee to have this for my son that is coming soon in less than 2 months! Merry Christmas! !